We supply, maintain and service photocopiers, printers and shredders to businesses in and around Birmingham. 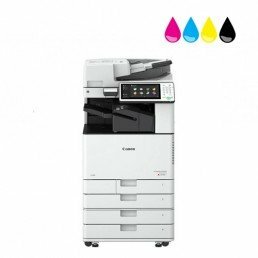 P8 Systems is an independent supplier of photocopiers, printers, shredders and all-in-one multifunctional devices (MFDs) to businesses throughout Birmingham and the UK. With over 25 years of specialist experience in the industry, we have both the knowledge and the expertise to help you cut costs, improve efficiency and increase your productivity using a range of office printing systems. We cover areas within Birmingham including Aston, Balsall Heath, Bartley Green, Birchfield, Birmingham City Centre, Boldmere, Bordesley, Bournville, Brindley Place, Brindleyplace, Bromford, Castle Vale, Chinese Quarter, Cotteridge, Digbeth, Druids Heath, Eastside, Edgbaston, Erdington, Falcon Lodge, Five Ways, Four Oaks, Fox Hollies, Gannow Heath, Gravelly Hill, Great Barr, Hamstead, Handsworth, Harborne, Harts Green, Hay Mills, High Heath, Hockley, Hodge Hill, Jewellery Quarter, Kings Heath, Kings Norton, Kingstanding, Ladywood, Ley Hill, Lodge Hill, Longbridge, Lozells, Maypole, Minworth, Mere Green, Moor Green, Moseley, Newtown, Northfield, Perry Barr, Pype Hayes, Quinton, Roughley, Rowley Regis, Selly Oak, Sheldon, Small Heath, Smethwick, South Yardley, Southside, Sparkbrook, Sparkhill, Springfield, Ten Acres, Wednesbury, Witton, Walsall, West Bromwich, Winson Green and Yardley. How Can We Help Businesses In Birmingham?